You may get all excited about getting home a new wireless router. But, there is more than just plug and play for wireless router. You need to setup and configure your wireless router. One does not require one to hold any master’s in setting up routers. Just some sound knowledge about setting up wireless routers will suffice. 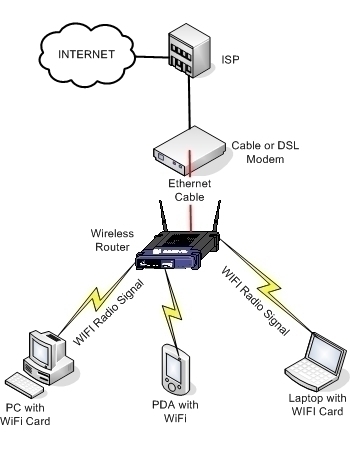 We will show you how to setup and configure your wireless router in the following paragraphs. New routers come with a manual that contain clear instructions regarding configuring a wireless router. However, we shall make things more simple and clear for you by explaining the basic steps to setup and configure your wireless router. Once you get your router, you need to connect it to the power supply. Then follow the steps below, which are simple. Switch on power on your router and then the modem. Wait for a minute or two. Most of the routers are setup by default to use DHCP. This allows the router to assign an IP address to the computer automatically. You need to enter the default IP address of the router in your browser. The default IP address is usually 198.162.0.1 or 198.162.1.1. The router login screen will appear and you need to enter the username and password. The default username and password will be found on the label printed on the router. Enter that information as username and password. You will now see the home page of your router. You should select manual configuration for setting up your router. Go to the Web interface or Wi-Fi settings and here you can set up your network name and password. Here, you will get many options to set your wireless network. Go to SSID and enter your network name. You can personalize your SSID as you wish. Make sure it does not contain any personal information like your birthdate or pet name. Now, select the Security setting as WPA-PSK & WPA2-PSK. Select WPA encryption as TKIP+AES. Enter the WPA-PSK/Passphrase/Password for your wireless network. Choosing a strong password for your router is very important. Do not use your birthdate, name, spouse name or pet’s name as your password. Use something unique and hard to crack. The password should be at least 8 characters long with maximum 64 characters. Enter uppercase/lower case letters, numbers as well as symbols. Save your settings by clicking on the Apply/Save button. Wait a few seconds for the settings to be applied on your router. Now, using this new information saved, add new devices to your wireless network. After configuring your router, you can change the default username and password. This will secure your router further and prevent any unauthorized changes. Just go to the Administration section and change the username and password. You will be asked to enter your current password and enter the new password twice. Click on Submit button and your changes will be saved. Keep in mind your new username and password as it is very important the next time you wish you login into your router admin account. This is how you setup and configure your wireless router. It is quite simple to set your router if you follow the steps correctly.